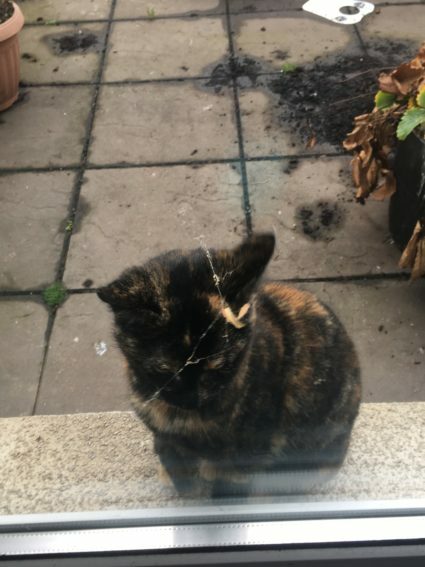 ‘Young female tortoiseshell cat found in Terenure – friendly but wary. She is small and quite thin. For information, please email alexoneillb@gmail.com.